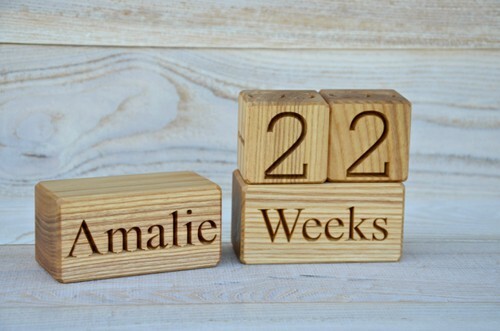 A set of personalized natural wood baby age blocks for personalized baby shower gift, photo props, nursery and maternity, kid's room wood decor and countdown calendars. 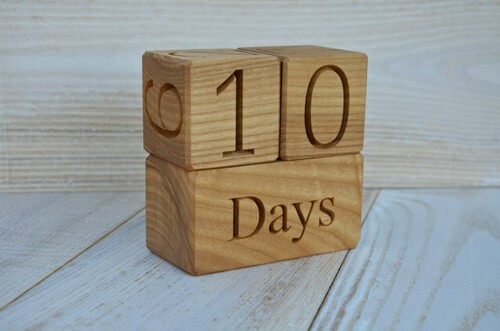 This set of wood blocks contains wood blocks made of natural ash wood with its decorative texture and great wooden smell. 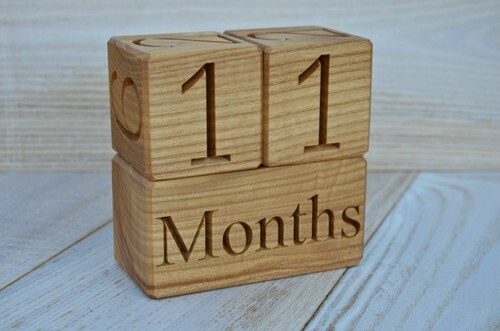 If you love all natural wood things, you will definately fall in love with these natural, non-toxic and great looking wood blocks.